Our Praeludium Automatic is the automatic brother of the timepiece that started our watchmaking adventure. While studying at the Conservatoire in Italy, Yvo Staudt designed his first watch as a way to combat his loneliness. 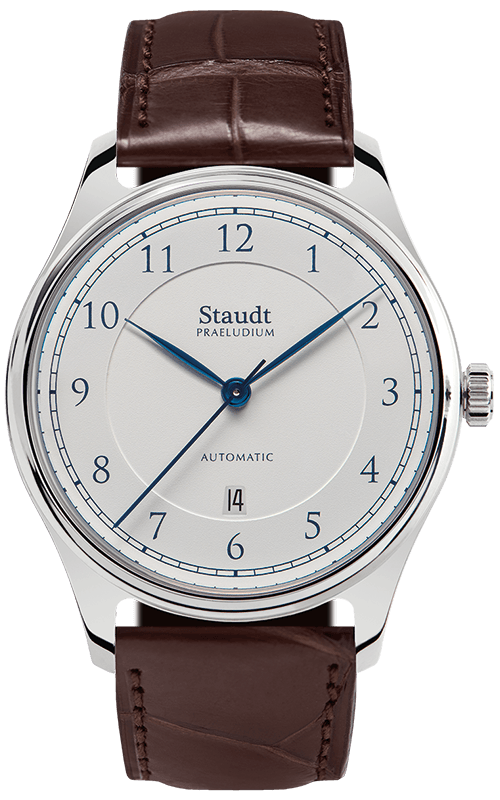 His design needed to meet three criteria: a blue dial, top quality, and an understated look. 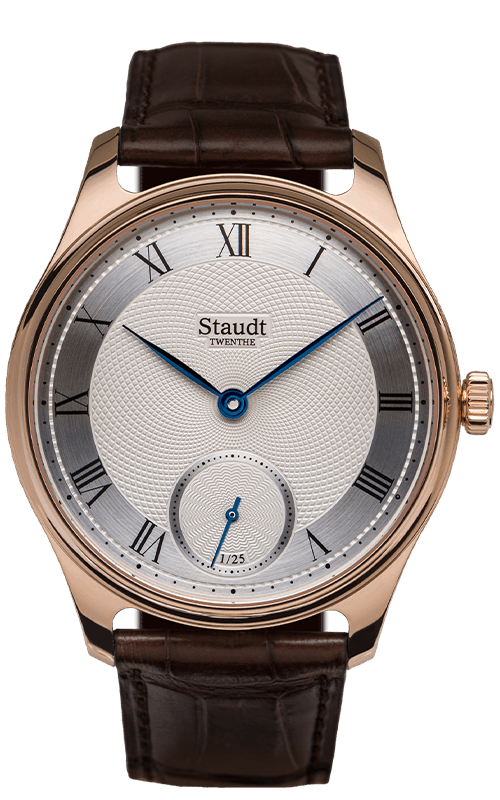 This personal project resulted in a venture that led to the foundation of Staudt Twenthe: the Praeludium collection. 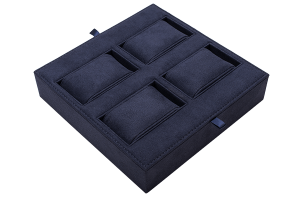 Stainless steel watch case with a diameter of 42.5mm and a thickness of 10.91mm. 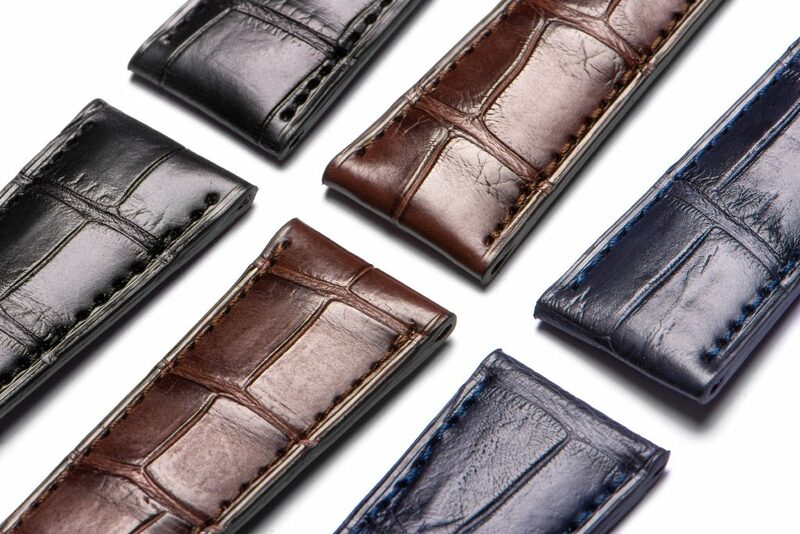 Genuine leather alligator strap, crafted by hand in Italy. 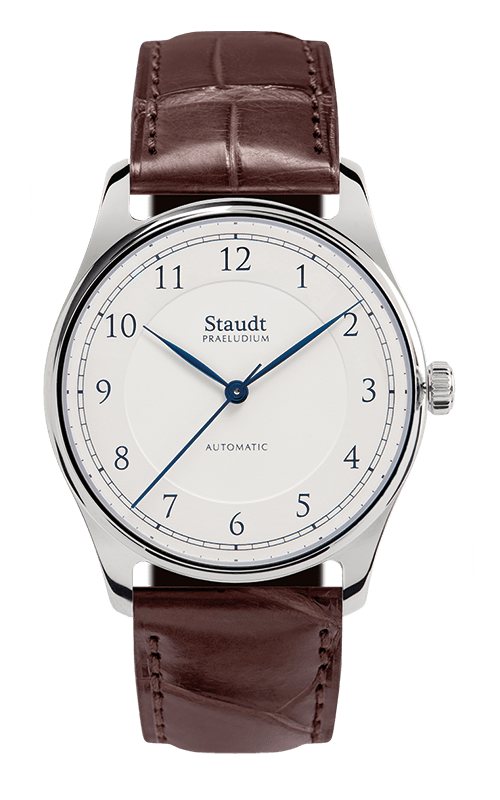 "The elegant look of the Praeludium collection combined with the comfortability of the automatic movement and the date function makes the Praeludium Automatic a great a companion for everyday." The Praeludium Automatic is a mechanical watch that shows you the date and the time in hours, minutes and seconds. 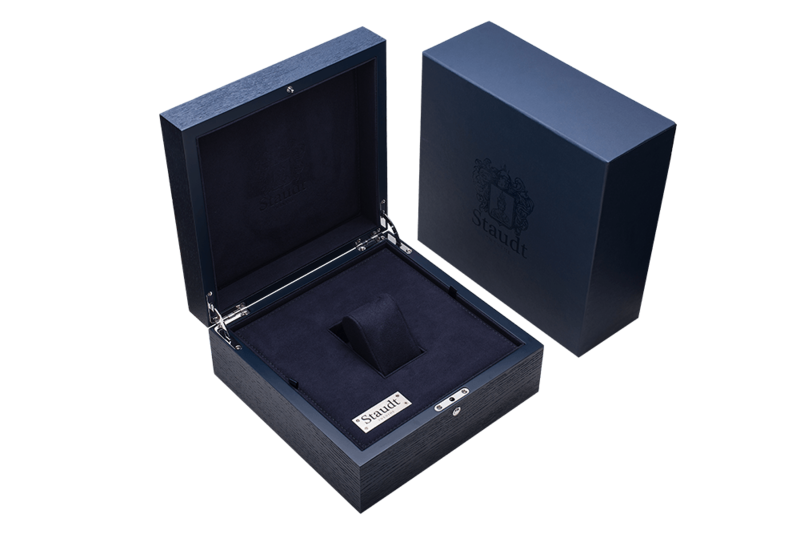 The watch case measures 42.5mm in diameter and is made from stainless steel. 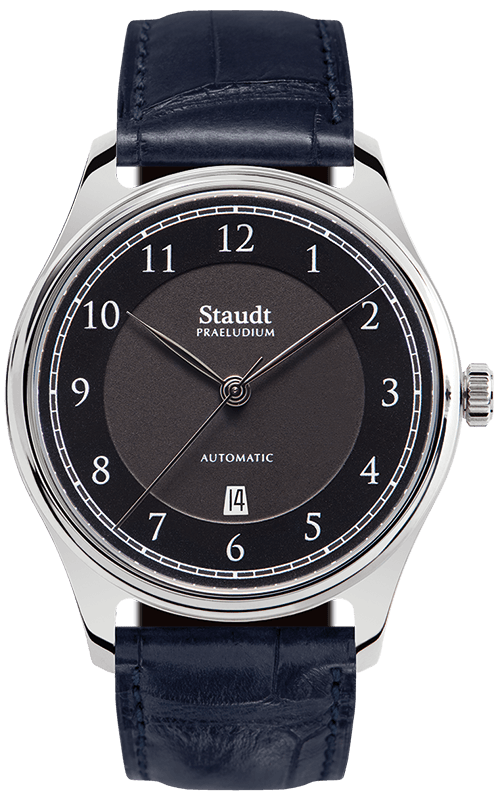 The watch is water resistant up to three bar and domed sapphire crystal with a double anti-reflective coating provides a crystal-clear view of the characteristic two-tone dial. The elegant, leaf-shaped hands are made from high-quality steel and are hand polished. The automatic movement has a power reserve of 42 hours and is protected by the case back, on which the Staudt crest is embossed. 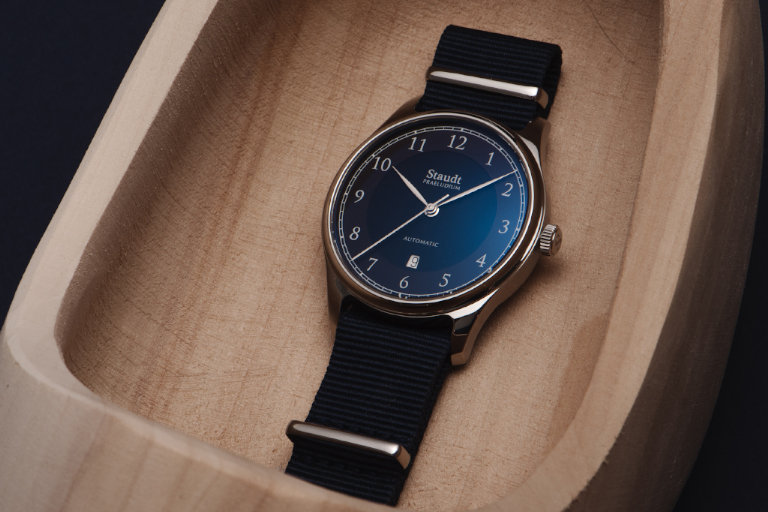 The handmade alligator leather watchstrap with folding clasp ensures the watch fits elegantly around your wrist. 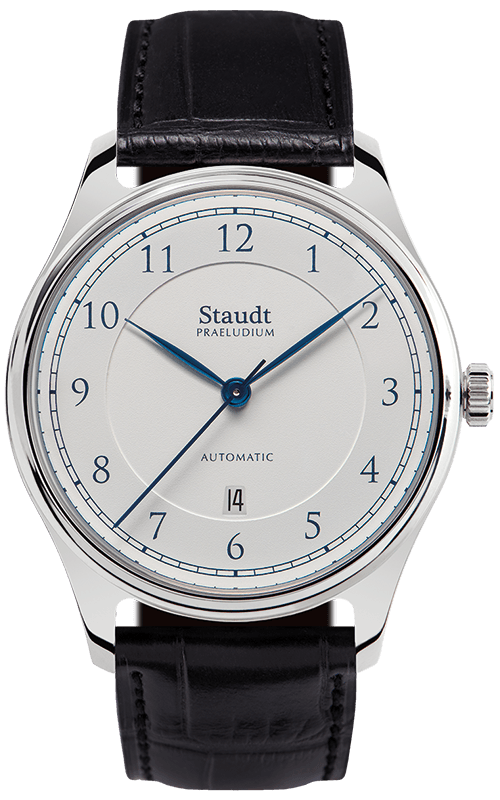 polished steel leaf hands (blued hands when dial color is ivory). The Praeludium Automatic has a self-winding Swiss mechanical movement, powered by the movement of your wrist. 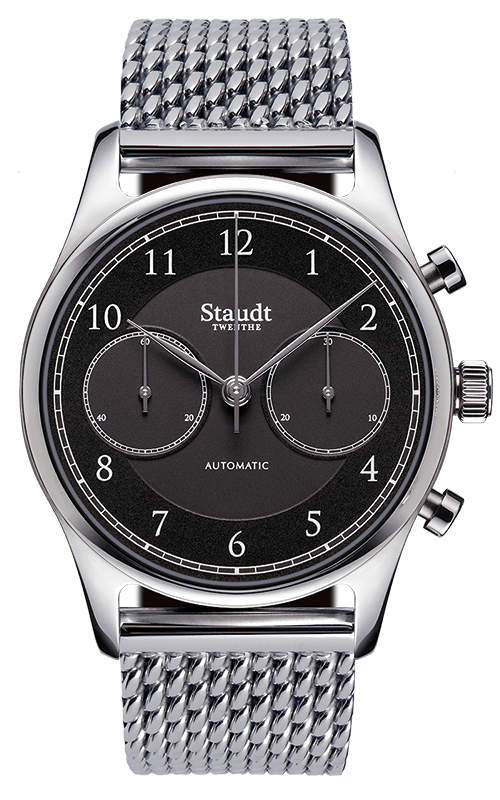 When the spring is fully wound, the watch has a power reserve of 42 hours. The movement is finished with perlage and the screws are blued by heat. In total, the movement contains 25 jewels. 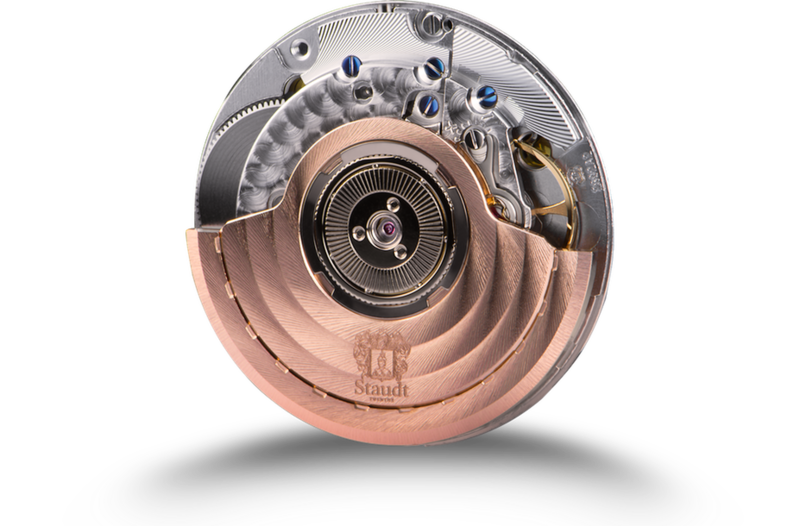 The rotor has a circular cote de Geneve striped finish and is coated in 18-carat rose gold. The Staudt crest is engraved with pride on the movement's rotor.